At the risk of sounding like a complete dweeb, I really like LinkedIn. It’s a ridiculously powerful tool that allows you to gain actionable insights on most people in your industry for a relatively low price (and it allows for great awkward conversations after a former colleague creeps around your profile and you get a notification they viewed it three times in a week, fun!). Yet few people know how to use it effectively. Most people either only set one up when they go searching for a job (because it’s one of those things you’re “supposed to do”) or they putz around on it as if it were Facebook. If you’re strategic about using LinkedIn, it can be a powerful lead generation tool for your business, especially if you sell to salespeople, executives, or business owners. One of the resources LinkedIn provides is access to users’ email addresses. If you’ve ever received newsletters or spam from somebody you’re connected to on LinkedIn but you never gave them you’re email address, they pulled it from LinkedIn’s tool. If you’re smart about using this, you can generate a list of potential clients without ever having to search for email addresses. Then you can email them after connecting. Sending connection requests to the right people. You want to connect with people who are more likely to be interested in your service or product. Blasting out cold emails to just anybody is a great way to get your email address flagged as spam. Sending great emails to your connections. Step 1 is more common sense. When sending connection requests, tell people why you’d like to connect, what you found interesting about them, and signal to them you’re not going to spam them or waste their time. Business owners and executives are Very Busy People. Step 2 takes a little more focus. One of my one-on-one clients builds websites for service professionals so that they can expand their product offerings without having to manage more people. He’s found a profitable niche around professional coaches — business coaches, writing coaches, etc. 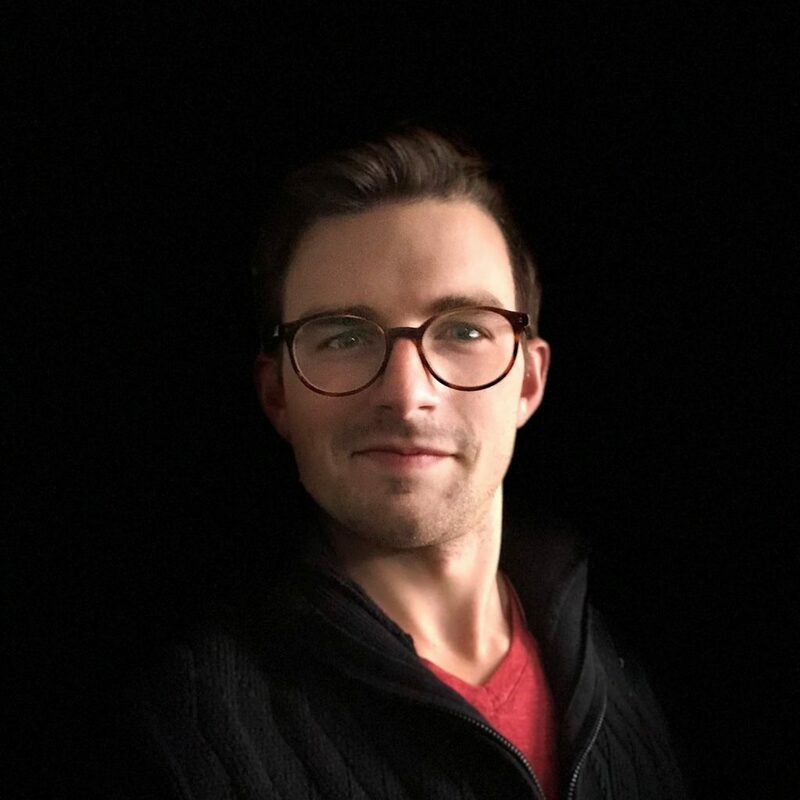 He and I have worked on building out his inbound funnel through writing interesting and useful content specifically tailored to his niche. Recently, we returned our attention to doing outbound sales. 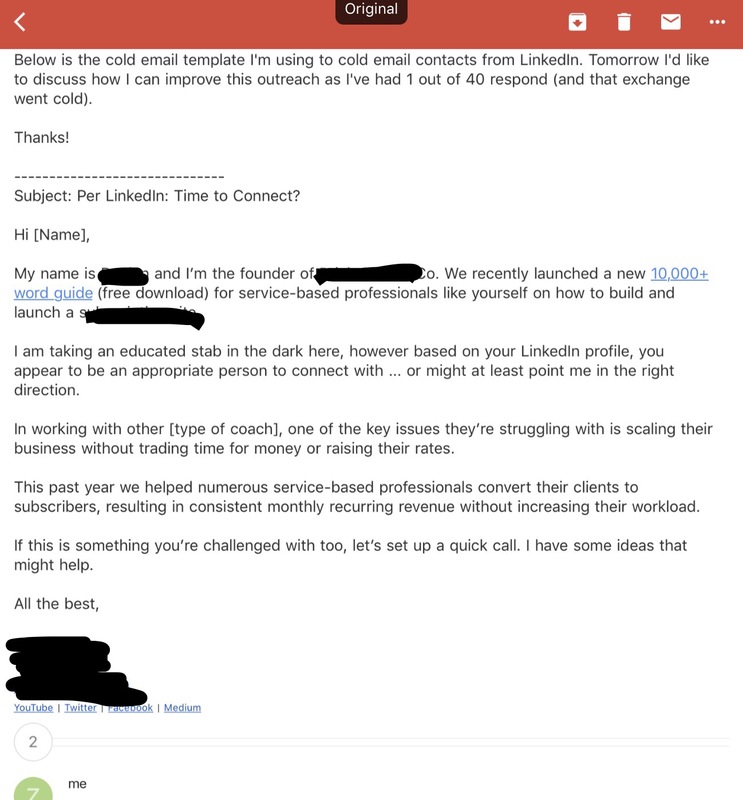 For this, he first connects with business owners in his demographic via LinkedIn and then follows up immediately by sending them an email letting them know how he can help them grow their business. As he noted, this got 1 reply out of 40, or a 2% reply rate. And that reply was mostly to say that the prospect wasn't interested. This isn't due to the fact that he himself wrote a bad email. 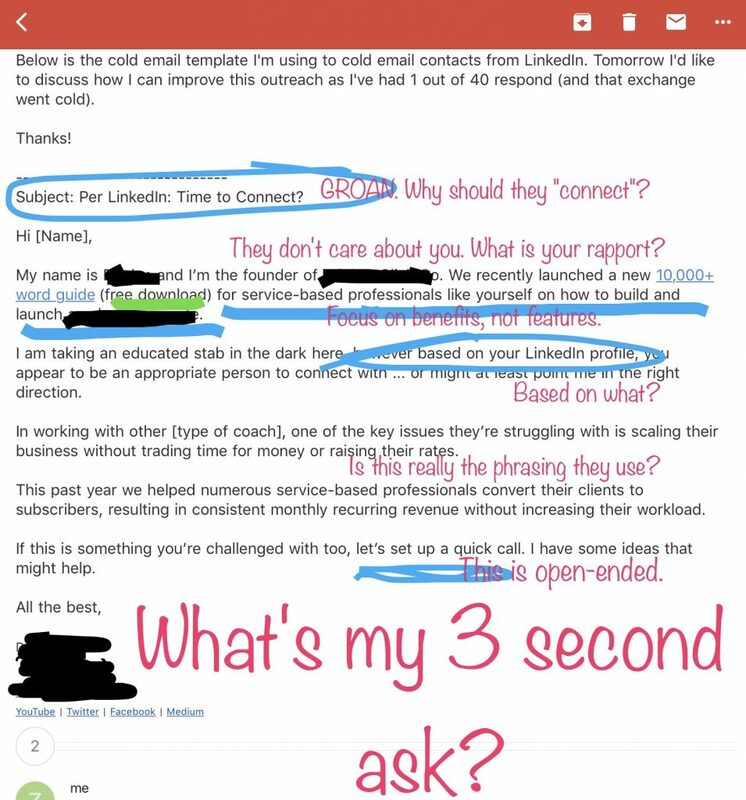 He pulled this from a HubSpot blog post about email scripts related to following up from LinkedIn. This is one of the most popular scripts on the Internet because it ranks highly on Google. As soon as we sat down, he admitted that he would not reply to that email. Going a step further, to emphasize the point, I asked him, "would you reply to that email if you had a day full of meetings, several fires popped up in your business, you had a leaky faucet at home, your son was sick, and you had to return a rental car?" "Well, assume that that is the average day for the person you're emailing and you'll get a much better response rate." How could this email be better? Remember that emailing Very Busy People, especially when asking them for something, is about making a pitch that aligns with their incentives. This might be making a specific impact in the world (in the case of lofty philanthropists), saving time, being more productive in order to spend more time with family, spending less time managing people, spending less time on fruitless leads, or any number of goals to be achieved or fears to be avoided. There are a few things here and they all come back to making it easier and more worthwhile for this person to respond now than to put it off until later. First, the subject line. Subject lines are like business cards. Having a good one won't get you an opportunity, but having a bad one or none at all will lose you an opportunity. Using, "Per LinkedIn" isn't bad if you just connected with the person - they may think that you're reaching out about some relevant experience they have (but if you were, why not personalize the subject line with something about that relevant experience, like "Per your experience as a writing coach). "Let's connect," without a clear reason is a phrase often used by Timesucks, people who like to get on the phone and use your valuable time without any clear reason for doing so. It's akin to the phrase, "I'd love to pick your brain." Why? About what? Why can't we do that via email when I have more time? How this could be better: Personalize this subject line with something related to that person's experience. Next, the opener. You do want to introduce yourself (it's weird if you meet somebody in person and they don't introduce themselves), but as soon as you are done with that, the question you should try to answer is, "why should I care?" Or, in incentive-terms, "what can you do for me?" His email goes on to immediately tell them about what sounds like a product he developed. Snooze & spammy. How this could be better: Introduce yourself and move on. Is there a point of rapport? Do you both live in the same city or go to the same school? Maybe know the same person? Noteworthy: the one reply he did get was from another business owner in the city he also lives in, and he personalized this section of the email with info about that city. Next, the blurb about his business. He tells the prospective client what his business does by outlining a feature ("build and launch [specific type of website]"). He doesn't tell them what the benefit is of building that kind of site. "Why should I care?" again is the question you want to ask when describing what it is you're emailing them about. You can answer this question by thinking in terms of incentives and problems. What problems does your product solve for them? What are the benefits of using it? How this could be better: Instead of talking about what specifically his business does, he can tell them what benefit working with him will bring them (i.e., features vs. benefits). Next, the LinkedIn connection. The HubSpot script has him tell the person that he's reaching out because of their profile...but not why exactly. How this could be better: He can mention specific experience this person has that piques his interest. The existing phrasing makes this sound too scripted. Next, the shared pain-point. Bringing up a pain point he's resolved for current clients is great if he phrases it in the words that his clients use. Real people don't speak in business jargon. How this could be better: Just confirm that this is the proper verbiage based on speaking to real clients. If Jane has this issue and he's resolved it for her and Jack has the same kind of business as Jane, then using Jane's situation as an example should motivate Jack to reply. Finally, the ask. This is probably the most irritating part about this script being peddled by a major outlet. There's no obvious ask! 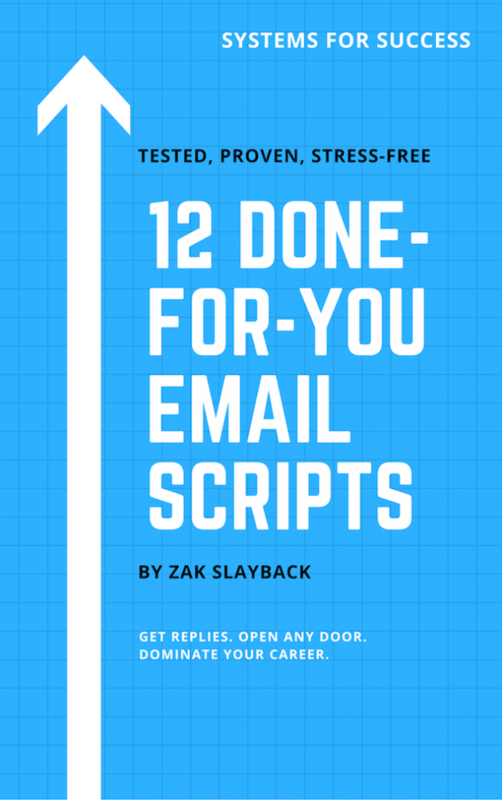 If you take one thing at all from any of my writing on emailing people, remember that emailing Very Busy People is all about making it ridiculously easy for them to reply. The biggest part of that is making it clear what you want of them. There's an ask buried in the last line here but it is the unclear and fuzzy, "let's set up a quick call." This raises a few questions: what's quick, how long? Why? When? What specifically do you want to talk about? I'm available for a 20 minute call Tuesday at 2, Tuesday at 4, and Thursday at 3. Alternatively, if none of those work for you, I can make time Friday morning. This makes it that the Very Busy Person does not have to register the question, "what times am I free?" and search their whole mind -- a relatively taxing behavior. Instead, they can ask, "am I free at those 3 times? If yes, reply one of them." The heuristic I use for emails is the 3-Second Ask. If you cannot clearly figure out the ask and the affirmative or negative reply in 3 seconds or less, the email should be redrafted. The thing about scripts (of which I am a big fan and built my own on this site) is that they work if they are personalized. Do your research on the people you're emailing and don't rely on the script -- rely on your ability to add value to their lives.